Do you know which intersections in Twin Falls are the most dangerous? Here is what the Times-News reporter Heather Kennison discovered about Twin Falls intersections, based on data from the Idaho Department of Transportation. ITD data includes crashes that had more than $1,500 in damage and occurred within one-tenth of a mile of the intersection. 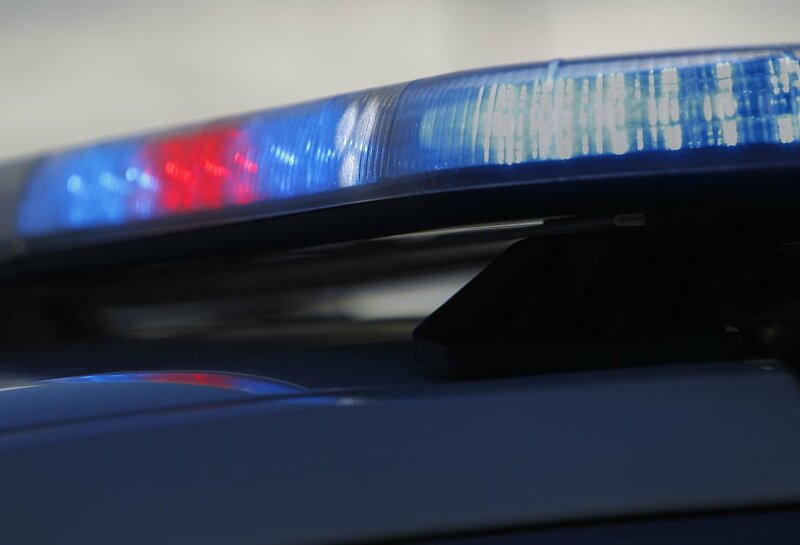 HEYBURN — Heyburn police said two girls admitted they made up a story about a man who tried to abduct them on April 14. Heyburn Police Chief Dan Bristol said the two girls, ages 10 and 11, were called to the police station after initial interviews because their stories contained inconsistencies. Bristol said it is a crime to falsely file a police report. The girls reported that a man in a silver car tried to abduct them, but there were discrepancies in the two girls’ stories. TWIN FALLS — Melissa Barry knows that waterfalls are an easy sell when it comes to attracting tourists. In early 2017, large amounts of snowmelt inundated Idaho’s streams and rivers, bringing these scenic attractions alive in a rare way. Shoshone Falls roared over the 212-foot ledge, peaking in mid-April at 22,000 cubic-feet-per-second. The news went viral, and waterfall tourism spiked. As visitation dropped off during the cold winter months, Barry — the director of Southern Idaho Tourism — came up with an idea to bring everyone back. After all, who could resist the idea of Shoshone Falls lit up at night with multicolored lights and a nifty laser show? The City Council last week approved her proposal for Lights & Lasers at Shoshone Falls, scheduled May 17 to 19. The event will include family-oriented vendors, food trucks, a medical station and lost child booth, and a 20- to 25-minute light and laser show choreographed to music. The lights and lasers will bounce off the falls and the crowd and can include pictures and animation, she said. Barry had initially hoped to do the event around Christmas, but icy roads made it a hazard. Tickets are available at visitsouthidaho.com — general admission is $12, children 12 and younger cost $6 and children 5 and younger can come for free. Limited platform viewing costs $50 per seat. But hurry and get your tickets, soon: Two days after the event was posted to Facebook, more than 7,000 people said they were interested. Buses will shuttle people each of the three nights from the River Christian Fellowship Church, 4002 North, 3300 East, beginning at 8 p.m. The show will begin at full dark, likely around 9:45 p.m.
Why you should go: This one is ranked No. 1, naturally — it would be blasphemy not to include it, Barry said. When you should go: The best time, in Barry’s opinion, is in the evening as the sun is setting and orange and pink reflect on the water. As of Thursday, Shoshone Falls was flowing at about 15,000 cfs. “That’s probably going to last at least through the end of April,” Idaho Power Co. spokesman Brad Bowlin said. The park is open from 7 a.m. to dusk. Cost: There is a $3 vehicle fee ($25 seasonal pass) to park down there, but you can walk if you choose. How to get there: Head east on Falls Avenue East and turn left at 3300 East. Stay on the road that leads into the canyon. Why you should go: The sheer sight of it, of course. And if it’s running over 10,000 cfs, it’s common to see extreme whitewater kayakers going over the falls, she said. When you should go: Barry recommends you try to go by June, if you haven’t gone already. After that, there may not be much water to see. The time of day doesn’t matter as much here. How to get there: Drivers can take U.S. 30 to Murtaugh. At the far northeast corner of town, follow 3425 North to the Murtaugh Bridge over the Snake River. In Jerome County, the road becomes 1900 East. Follow the road out of the canyon for about a mile. You will see a BLM sign pointing to Caldron Linn at the first gravel road to the right. Drive 1 mile east on 1475 South to 2000 East, then turn right and go south to the canyon’s edge. You can park and walk into the canyon from there, or you can drive if the road is passable, but stop at the rim first to check the condition of the road before continuing into the canyon. Barry recommends bringing a high-clearance vehicle to tackle the terrain — and prepare to do some walking. You will also need to watch young children carefully because there are no safety fences. The easiest way to get directions if you’re unclear is to ask one of the businesses in Murtaugh, Barry said. Why you should go: This waterfall has a significant drop, and you can stand on a footbridge right above it, Barry said. There is also a park, visitor center and hiking nearby. Barry warns against trying to whitewater kayak here because it has been known to crack people’s kayaks. When you should go: Spring is the best time to see these falls, Barry said. Cost: There is a $5 vehicle admissions fee into any unit of the Thousand Springs State Park. A $10 annual Idaho State Parks Passport will get you in all the state’s parks for free for a year. How to get there: If you’re on Interstate 84, take Exit 147 at Tuttle. Signage will point to west on 2350 South and north on Ritchie Road to the Malad Gorge unit of the Thousand Springs State Park. Why you should go: It’s a neat view because of nearby Ritter Island and a cattle farm, Barry said. Not to mention the spring-fed, crystal clear water surrounded by moss. There are also nearby hiking trails and boat tours offered by 1000 Springs Boat Tours. When you should go: Barry doesn’t notice the flows changing much here year-round. But she recommends going in the morning when you’ll see more wildlife, especially birds. How to get there: Thousand Springs State Park Ranger Eric Whittekiend said if you take Exit 155 from Interstate 84, you should turn left toward Hagerman. After about 3 miles, turn left onto South 1500 East. Follow the brown wooden signs toward Ritter Island. The island is technically not open until Memorial Day, Whittekiend said, but it is open at times in good weather. If the gate is open, park at the Idaho Power parking lot and walk across the island. You can also see the springs from the gate, or from Highway 30 at the Thousand Springs Resort, he said. Why you should go: “It kind of almost spider-webs down the canyon,” Barry said. There’s also a lot of greenery around the falls, and visitors can go fishing and picnic nearby. Vehicles can drive right up to the falls and park on the side of the road, she said. When you should go: This one is good to view year-round, Barry said, and at any time of day. But if you want to fish, go early. Cost: There is a $5 vehicle fee for parking. How to get there: Take Exit 157 from Interstate 84. Turn south, away from Wendell, on the Rex Leland Highway. After about 5 miles, there will be a big curve in the road and you’ll want to follow signs to the left, then immediately to the right, Whittekiend said. Southern Idaho Tourism notes that the road to the springs is narrow and steep. Why you should go: If nothing else, you should go because the falls is Twin Falls’ namesake, Barry said. But there’s also a nice park nearby run by Idaho Power Co. with boat docks and hiking trails, restrooms, barbecue stands and picnic tables. Idaho Power has started to allow people to reserve the picnic shelter online. The waterfall itself isn’t the most picturesque, in her opinion, and unlike its name, there is just one falls there now. It’s currently running about 10,000 cfs, with 5,000 cfs being diverted through the power plant, Bowlin said. Visitation here has increased as the population has grown and the economy has improved, Bowlin said. The park is also the take-out point for the Murtaugh Reach. When you should go: This park is open year-round and has plenty of shade for midday visitors. Barry thinks sunset is the best time of day for viewing. March through early June is recommended. How to get there: The turnoff for this is pretty much a straight shot from that to Shoshone Falls. From town, take Falls Avenue East until you reach North 3500 East and turn north. Why you should go: This is a different kind of falls than you’re used to expecting, but Barry says it’s still a sight to see. “It’s not a plunging waterfall, it’s more of a cascading waterfall,” she said. When you should go: Auger Falls is good to see in either high water or low water, Barry said. However, she notes that summertime is hot down there as there isn’t a lot of shade. How to get there: From Blue Lakes Boulevard North at the north end of Twin Falls, turn west onto Canyon Springs Road and take it down into the Snake River Canyon. At the road’s end, you’ll find a trailhead parking lot at the park gate. From there, you will need to hike or bike into the falls. Why you should go: The dramatic plunging factor over the side of the canyon makes this an iconic waterfall to see, Barry said. You can also get a view of the I.B. Perrine Bridge, and take a trail and go right behind the waterfall. “You really can’t beat that setting,” she said. When you should go: Barry thinks this waterfall is good year-round. But she doesn’t recommend going first thing in the morning, as you’ll likely encounter a lot of pedestrians on the roadway. How to get there: Take Canyon Springs Road into the Snake River Canyon and look to your left. There is a pullout area on the shoulder of the road but watch for pedestrians and other vehicles. Barry suggests pulling over on your way back up the grade versus on the trip down. Why you should go: The scenery here is beautiful with mossy ferns and a nearby stream and bridge, Barry said. When you should go: Spring is the best time to go, but summer isn’t bad, either. Any time of day is fine. How to get there: If you are headed to Magic Mountain Ski Resort on Rock Creek Road, the trailhead is 2 miles north of the resort. While there is a turnout area for parking, visitors will have to hike 10 to 15 minutes to see the falls. TWIN FALLS — A one-car crash in Twin Falls County sent four people to the hospital Tuesday afternoon. A pickup truck pulling a pulling a 10-foot flatbed trailer with irrigation pipes rolled over several times after the driver apparently lost control of the vehicle, according to a statement from the Twin Falls County Sheriff’s Office. The crash happened around 3200 N 3983 E at approximately 4:10 p.m. The driver of the truck, an unidentified man, was flown to Portneuf Medical Center in Pocatello. Three passengers, a woman and two children, were taken to St. Luke’s Magic Valley Medical Center. No one in the truck was wearing a seat belt, the sheriff’s office said. The Twin Falls County Sheriff’s Office is still investigating the crash, but investigators think speed was likely a contributing factor, according to the statement. BUHL — Police say a Buhl woman threw a knife at her adult son and threatened to kill him during an argument. Tracy Lynn Allred, 47, was arraigned Wednesday on charges of aggravated assault with a deadly weapon, battery, and resisting/obstructing an officer. According to a police affidavit, officers were called to Allred’s house Tuesday night. Her adult son, Jeffrey, told them his mother had punched him in the face, thrown a knife at him and slashed a tire on his truck after he got angry with her about a phone conversation he overheard. Jeffrey said that when the two started arguing, his mother hit him and said she was going to kill him, and he shoved her away. As he was leaving the house, his mother threw a 14-inch kitchen knife out the front door at him, Jeffrey said. The knife did not hit him. Jeffrey told police that he picked up the knife and put it in the back of his pickup truck; Tracy allegedly went back inside and came out with another knife, which she used to slash a tire on Jeffrey’s truck. When questioned by police, Tracy said that she slapped her son in the face and the two “shoved each other around” before Jeffrey left, according to the affidavit. She admitted to throwing the knife, but said it was not close to Jeffrey, police said. Tracy told officers that she slashed her son’s tire because he “came back after her,” according to the affidavit. Aggravated assault is a felony; battery and resisting or obstructing an officer are misdemeanors. Allred was jailed on a $30,000 bond. A preliminary hearing is scheduled for May 4.